Often people tell me they see things now, they had not noticed before they began to follow my work. 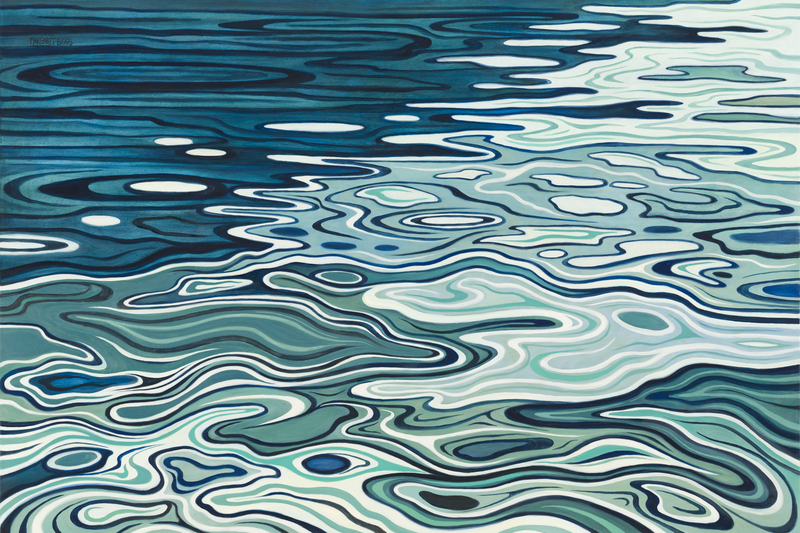 Have you ever noticed the beautiful designs on the surface of still water? I hope so. My mind drifted while painting this piece. It is water and yet, they are spirits too. And souls. Are you here, now? In this peaceful place? Come. Let us rise and meet each other there.